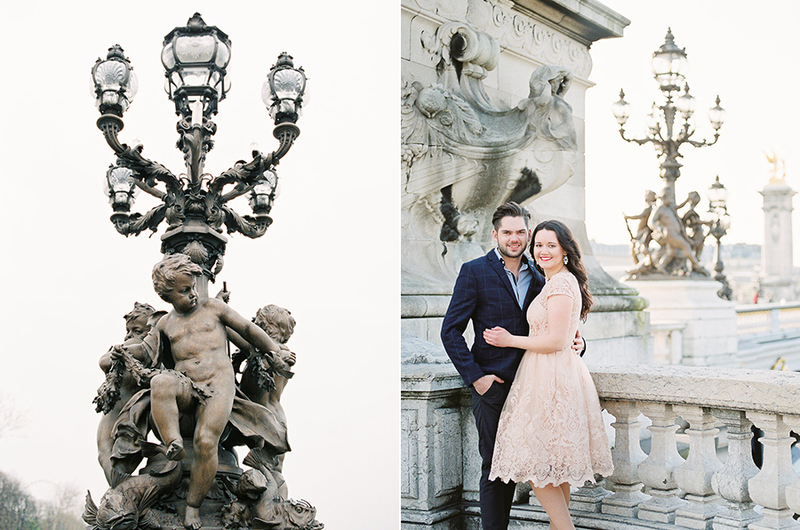 Marina and Willi, sunrise, and Paris - the perfect mix for a perfect morning. 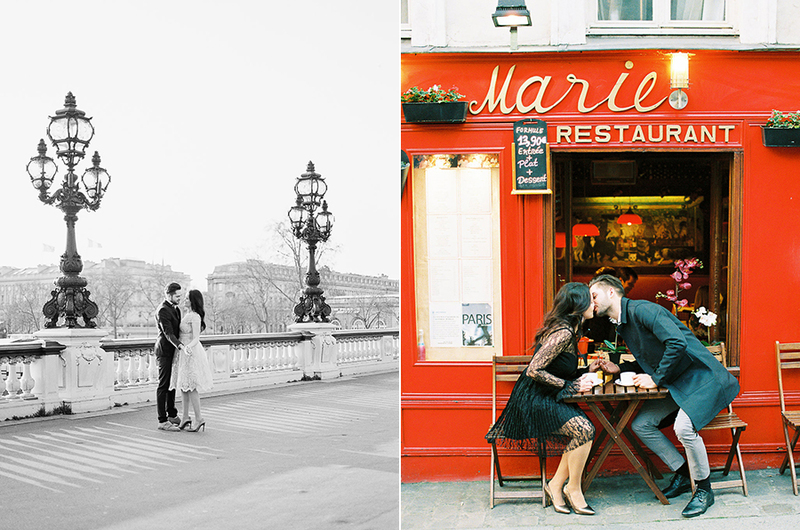 These two beautiful people share a love of travel, so they decided to make the trek to Paris and document their trip with a lovely engagement session. We strolled the streets early in the morning so as to avoid the big tourist crowds. Paris is absolute magic anytime, but certainly in the crisp morning air with empty streets and sleepy buildings. We visited all of the major spots: the Louvre, Montmartre, and of course the Eiffel Tower... all of which left us speechless in this city of love. Marina and Will met each other through mutual friends, at a volleyball game no less! After said mutual friends all decided to meet for a game, everyone was super late except for Marina and Willi! They decided to grab a bite to eat at McDonalds after just meeting and spent some quality time together prior to the event with their friends. After the game is when sparks flew, appropriately at the bonfire (so literally... sparks flew! ), and the rest was history. Such a simple and heartfelt love story and beginning reminds me why I love what I do so much.